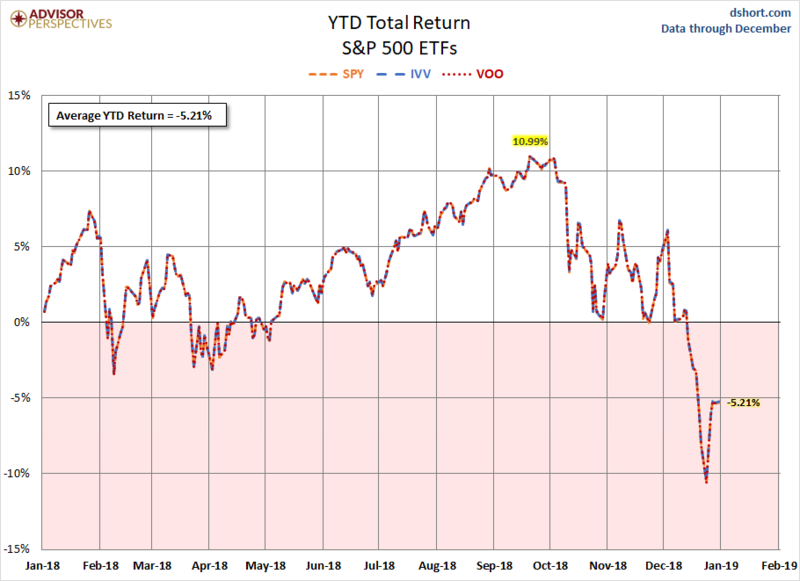 The S&P 500 ETFs tracked here include State Street Global Advisors’ SPDR (SPY), iShares Core S&P 500 ETF (IVV), and Vanguard’s S&P 500 ETF (VOO). 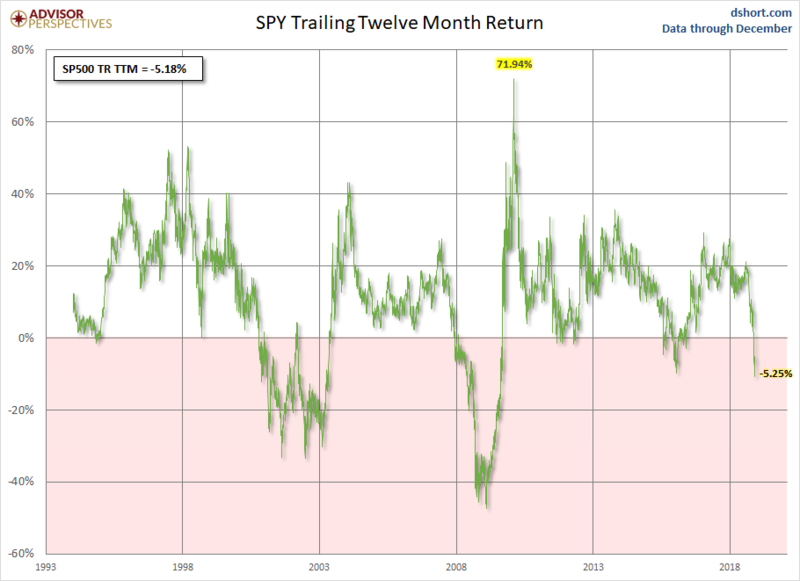 The first chart presents the trailing twelve-month price return for SPY (IVV and VOO are almost identical). Figures are through September month-end. Here is the YTD return for all three including their average, now at -5.21% – note the close tracking, as expected. Finally, here is a table listing each ETF’s tracking error, expense ratio, and YTD return.